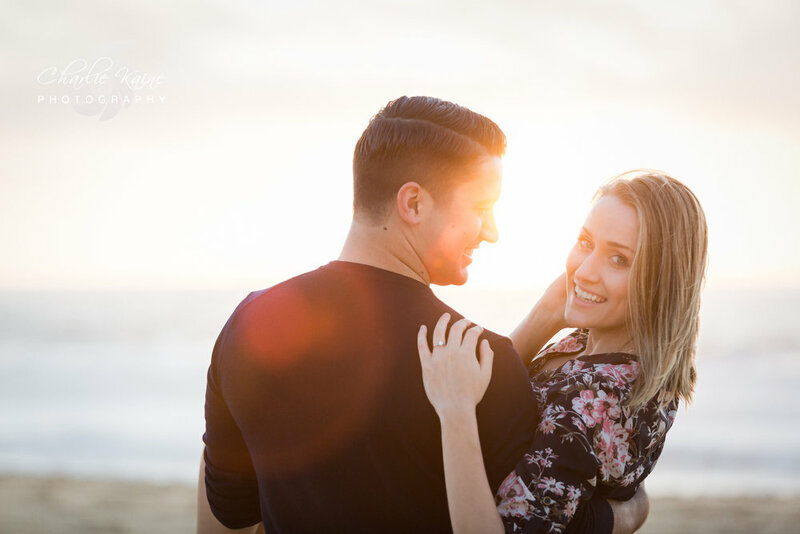 I wish every engagement session were like this! We had a great time with our clients turned friends Stephanie & Tim. 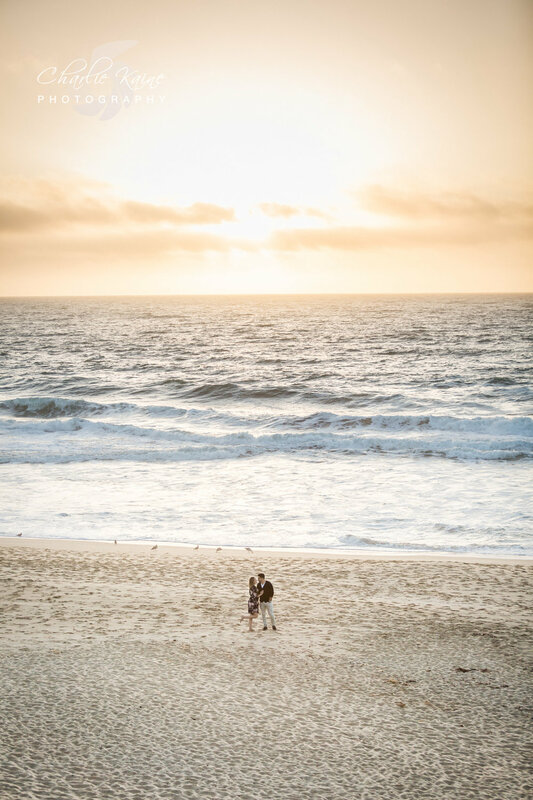 Great conversations, perfect weather, and beautiful beaches all made for a great photo session. Stephanie & Tim are a perfect match for each other and both keep each other laughing. It was very easy to photograph them because they couldn't help but smile when they looked at each other. 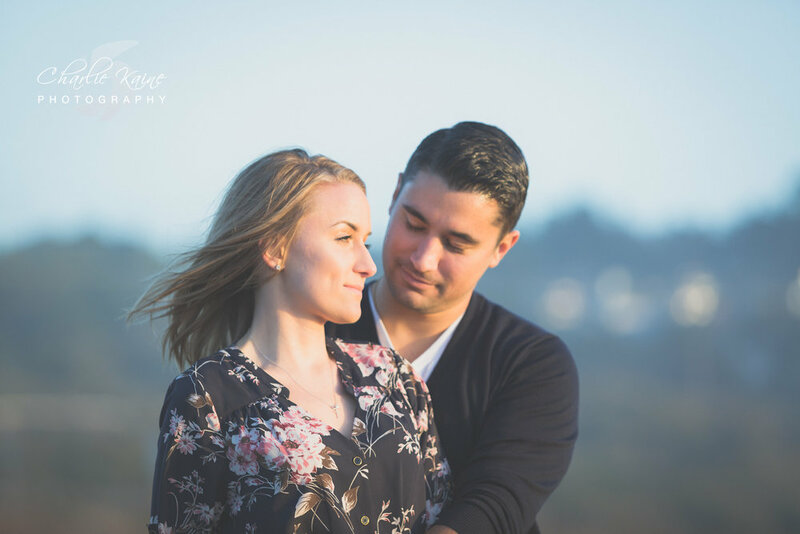 Looking forward to photographing their Palo Alto Wedding in 2018! It was an honor to photograph the wedding of Ricky & Priscilla. The most touching moments for me was when they both were reading the letters that they wrote to each other. You can just see how in love they are with one another and the deep connection they have. They chose a beautiful location at The Island Farm to have their wedding, and the staff there was amazing. How often do you get to witness a canoe ride entrance to a reception!? It was a pleasure getting to know them and I wish them nothing but eternal happiness. It was a unique experience to be able to shoot a wedding at the same venue two weeks in a row; the previous week I shot Naomi & Ron's wedding at the North Valley Baptist Church. The church family there was very welcoming and helped me out with everything I needed. I first met Abigail & Stephen during their Engagement Session back in February. I got to know them very well and I saw right away the loving and spiritual connection that they had. Back then they were living hours apart and Abigail was still in school. It is awesome to now see them married and living out the vision that God has for them both. Thank you to the Baumgartner & Elizondo families for raising two amazing people and for allowing me the honor of photographing this special day! What a pleasure it was to start off the summer by photographing this lovely couple. The wedding took place at the North Valley Baptist Church, which is an amazing facility. Pastor Jack Trieber led a beautiful service in front of hundreds of family and friends.Ron is as tough as tough a guy as any I know, but when Naomi came walking down the aisle even he couldn't hold back his emotions. It was a pleasure getting to know them from the time we first spoke on the phone, to the time we met in person at Stanford University for the photos, and now seeing them as a married couple. Their future is bright and their love for God and one another deep. I'm honored to have been chosen as their photographer for one of the biggest days in their life. My wife and I first sat down with Faith & Frobie at a nice Mexican restaurant one afternoon and instantly hit it off. It was obvious to see their love for one another, and how perfect they were for each other. Their story is one of perseverance and faithfulness to God. When we arrived at the Crystal Springs Golf Course for the wedding, the weather could not have been more perfect! The views from the golf course were magnificent; I can't recommend this venue enough. Thank you Faith & Frobie for choosing me to capture these memories that will last forever! I truly had a blast photographing Roy & Chen-chen's wedding at the beautiful Monterey Plaza Hotel & Spa. The weather could not be any perfect, and the views stretched out for miles. When you see those two together, you know that they were meant to be. Chen-chen was an absolute natural in front of the camera, nailing every pose on the first try. A truly stunning bride inside and out, and it was a joy photographing her. One of my favorite moments was Roy dancing with his daughters and granddaughters. It was a special moment that they shared and we got to all witness. It was an honor to be chosen as their wedding photographer, and look forward to continuing the friendship that we were able to build during the whole process. Some say that it is good luck to have rain on your wedding day, but tell that to the bride who has planned a beautiful outdoor ceremony. We prayed for a miracle, and a miracle indeed came through. The skies cleared up about an hour before the start of the ceremony, and the rain fall resumed after we all made it indoors for the reception. Byron and Lauren are an amazing couple, and it was an honor to be chosen as their wedding photographer. My wife and I got to know them on a much deeper level as we hung out preparing for the wedding. I wish them a prosperous life and a fruitful marriage that stands the test of time. Back when Tim & Melissa chose me as their wedding photographer, I knew that we would be seeing a lot of each other. 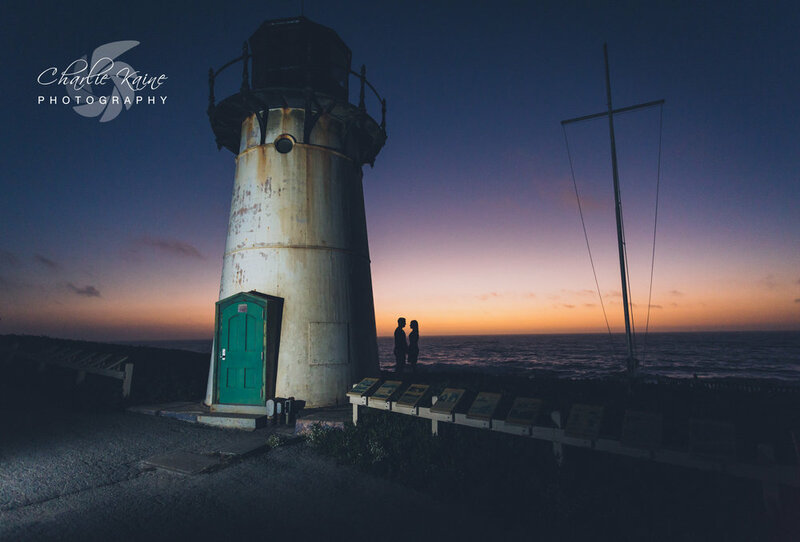 It started off with their engagement photo session in San Francisco. Since then I can truly say that I have been blessed to be able to get to know both Tim and Melissa better. I got to spend most of the day with Melissa especially; beginning with her getting ready alongside her bridesmaids, to riding in the limo with her on the way to the church, and then finally seeing them off at the end of the night. By then she had memorized all of my posing tips that I would constantly yell out (chin up, point your knee, shift your hips, etc.). When they got into the limo to drive off to their honeymoon, I actually felt sad that my job as their wedding photographer was done and that I wouldn't be spending as much time with them taking photos. For those of you that know them, you understand why it is easy to get attached and would want to be around them. They are truly an amazing couple, and their love for each other radiates with every interaction, every hug, every dance, and every laugh. Even though it rained that day, the ceremony went smoothly, and the reception was spectacular. The DJ kept everyone sweating on the dance floor with hit song after hit song! Thank you to all the vendors, friends, family, volunteers that helped make everything come together for Tim and Melissa's wedding day. To see Tim & Melissa's complete Wedding Gallery, and to order your own prints, click here.